This superbly illustrated book combines the systematic approach of a textbook with the simplicity of consultation of an atlas in order to provide a comprehensive guide to the applications and benefits of scintigraphic studies in children. 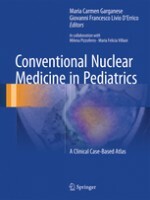 All of the clinical scenarios in which conventional nuclear medicine techniques frequently play a role in children are covered, with explanation of imaging diagnosis, the relevance of clinical history, problem solving, and pitfalls. The images themselves are the key focus of the book, and in each setting the added value offered by scintigraphy is carefully identified. The book also describes management of the pediatric patient and addresses general considerations, including reception, interaction with parents, radiopharmaceutical administration, image acquisition, radiation exposure, and the relationship of nuclear medicine and radiology. Since the child is not a young adult, it is insufficient simply to adapt nuclear medicine procedures performed in adults to the age and size of the child. Conventional Nuclear Medicine in Pediatrics will be a rich source of information for all who perform these procedures in the pediatric setting.